I love the drawing. I love the stencilling. I love the casting. 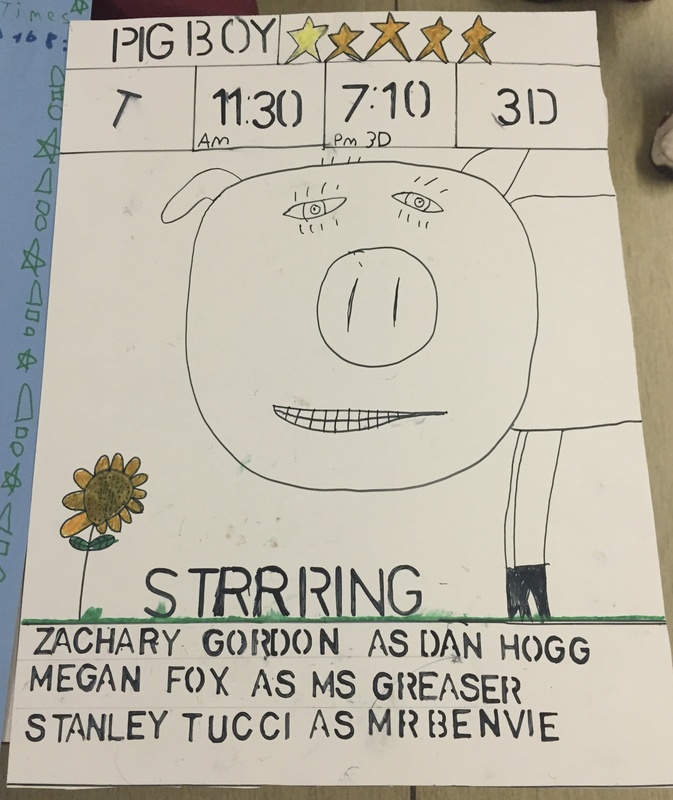 Zachary Gordon as Dan Hogg and Stanley Tucci as Mr. Benvie? Brilliant! But my favourite is Megan Fox as Ms. Creaser. I named the character after an old friend of mine and a real teacher. Sue is going to be very flattered. And P.S. Thanks to Mr. Greg Reid, teacher extraordinaire for inviting me back again this year. (What is it now, Greg? Five? Six times? And P.P.S. Thanks to Halifax Learning Centre for sponsoring my visit – and their continuing work with struggling readers.